The teachers are exceptionally qualified and committed to developing the whole child in their programming. My daughters have always felt safe to push themselves and take risks, knowing that if they are willing to put in the effort, the teachers at Evolutions are there to nurture them every step of the way! Miss Stephanie has a passion for creating safe spaces where children, youth and their families can experience dance! She began her journey over 30 years ago, focusing on both ballet (Vaganova), and Ukrainian dance. A lifelong learner, Miss Stephanie completed her Bachelor of Arts and Bachelor of Education degrees at the University of Calgary. Social justice issues and multicultural education have always been important to her philosophy as an educator. She has taught at various local public and private schools, both as a classroom teacher and in leadership roles. She completed her Master of Arts Degree in Educational Research in 2017 with a focus on social justice issues in education. Miss Stephanie believes play and exploration are the foundation for skill building for the littlest dancers, and emphasizes the importance of a proper dance education that is age and developmentally appropriate. It is her goal to create a dance school where all dancers feel valued, respected and safe. She is especially excited to develop a Preschool Dance Curriculum unique to Evolutions School of Dance! Miss Stephanie is also a mom to 4 children, all under the age of 7… and all aspiring dancers! Miss Vanessa’s desire to share her enthusiasm of dance with others began as a young teaching assistant. In 2008 she began teaching with a dance residency company, Three Left Feet Movement Creations, which connected her love for dance with education. After 2 years dancing with the company, Vanessa went back to school to obtain her Bachelor of Education at the University of Calgary. Vanessa’s philosophy of teaching is what drives her both at the studio and as an educator. Vanessa is proud to be a Learning Leader, middle school dance specialist and humanities teacher with the Calgary Board of Education. When not at the studio Vanessa enjoys family time and has an adorable daughter and son who both love to “bust a move” with their mama! Owner and Studio Director, Vanessa Wright is a dance educator, choreographer and life long learner. Vanessa sought out dance at a young age and continues to be a dedicated ambassador for dance. As a student of dance, she trained extensively in ballet (RAD, ISTD, Cecchetti, Vaganova) and modern dance techniques as well as studied lyrical, jazz, contemporary and more. Miss Vanessa completed her Bachelor of Arts Degree in Dance at the University of Calgary majoring in ballet through the School of Alberta Ballet. Miss Jenna has over 20 years of dance experience. She grew up dancing and competing in Calgary and has a vast knowledge of ballet, lyrical, and Ukrainian dance. Miss Jenna has worked closely with children of all ages as a dance teacher, nanny, and day camp leader. She has been with ESD since its inception and has taken on many leadership roles as well as instructing students over the past few years. When she is not in the office, you will find her delivering babies as a Labour & Delivery nurse at Foothills Medical Centre. 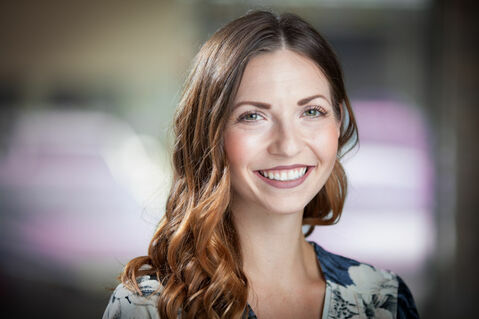 Making the difficult decision to leave Winnipeg in search of new opportunities, Miss Kyla moved to Calgary and immediately found a home at ESD! Throughout her dance life, Miss Kyla has enjoyed teaching dancers of all ages. She is able to say that she has taught dancers from 6 weeks old (Mommy & Me right here at ESD) all the way up to professional company classes. Miss Kyla is proud to be a part of such an amazing dance studio that focuses on the whole dancer and really fosters a supportive environment. Not only that, she loves that her son, and soon her daughter, are able to dance here and experience the love and passion ESD has to offer. Miss Kyla began her dance career with Highland dance at the age of 2. From there, she went on to add Ballet, Jazz, Modern, Tap and Musical Theatre. Knowing that dance was her passion, Miss Kyla moved to Winnipeg for her post-secondary training. 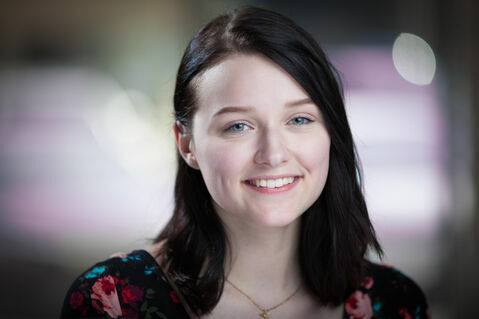 Attending the Professional Program of the School of Contemporary Dancers, in affiliation with the University of Winnipeg, Miss Kyla earned her BA(Hons) in dance. While in Winnipeg, Miss Kyla danced with several companies and performed throughout Canada and the United States. Stephanie began dancing at 4 yrs old with the former Hanson School of Dance in Kindersley, SK. She achieved her ADAPT Advanced Jazz, RAD Intermediate Ballet, RAD Gr. 8 Ballet, CDTA Advanced Tap and CDTA Advanced Jazz. She also studied voice and piano and achieved her RCM Gr. 8 Piano and RCM Gr. 7 Voice.Stephanie attended Grant MacEwan’s Theatre Arts program in Edmonton and received a Diploma in Musical Theatre studies. After completing college she moved to Calgary to study for a year under the jazz style instruction of Decidedly Jazz Danceworks in their Pre-Professional Program. After her training with DJD she went on to achieve her ADAPT Teachers Certification in Jazz and Tap. Stephanie has had the joy of dancing and performing with many dance groups and events over the past few years in Calgary. Some of the groups she has performed with are En Corps Dance Collective, Wild Aces, Army of Sass and, Outriders - the Stampeders CFL Dance Cheer Team. Stephanie hopes to share her passion of dance and performing with the students while they have fun learning. She is proud to be part of the faculty at Evolutions School of Dance. For three years now, Jenna has worked for Artists Emerge and Represent Dance Competition writing and assisting Steve Bolton, Loose Joint, King Guttah, Phillip ‘Pacman’ Chbeeb, and Chris Martin. Jenna will be returning for her second season assisting Dancers Paradise in Mexico this May. Outside of dance, Jenna has her MSW in Clinical Social Work and works in medical pediatrics. She also owns her own photography company, Emmy A Photography (IG: emmyaphoto), and has photographed various performance companies such as Trip the Light Dance Company, En Corps Dance Collective, illFX Entertainment, Evolutions School of Dance and Army of Sass. 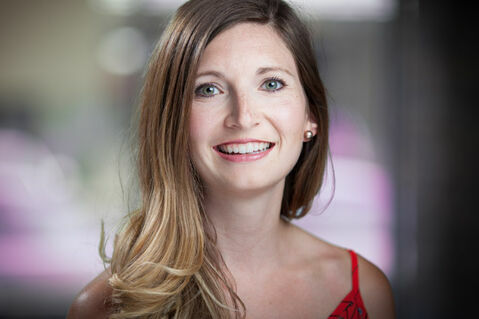 Jenna has been dancing in Calgary for over 24 years, which include 14 years of teaching experience. She danced and choreographed for En Corps Dance Collective for over 10 years and was Artistic Director for five seasons. Jenna performed in two seasons with Groove Academy and has joined illFX Entertainment for various performances. Currently, she is training to dance and perform with Oliver Miguel and the Revolucion, a local performance band. Miss Reanna started her dance journey at the age of 4, training in Ukrainian/ National dance here in Calgary. In 2007 she began training at Evolutions and has acquired a knowledge of both ISTD and Cecchetti classical ballet, Jazz, Lyrical, Contemporary and Ukrainian dance. She has since completed her Standard 6 and Senior Certificate Cecchetti examinations. She has competed in many dance competitions in Alberta, as well as has performed various main character roles in ESD productions. Reanna joined the ESD Inspire Jr Instructors Program at age 14, and joined the faculty with her completion of the program. In 2016 she received a fine arts scholarship to further her passion for dance education. 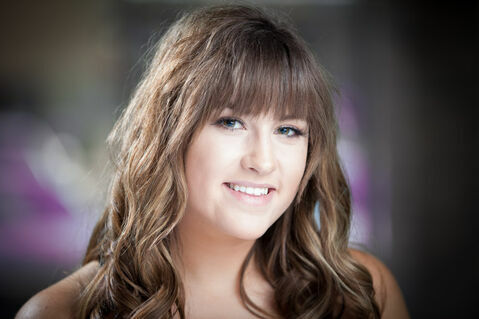 Reanna currently attends the University of Calgary where she is working on a double major in Dance and English. She is currently studying choreography, contemporary technique, and pedagogical perspectives of dance science. She plans to combine the perspectives of Dance and English and become a teacher specializing in both topics. She can’t wait to continue to give the students at ESD an opportunity to learn skills that they can use for years to come, and is excited to bring her passionate love of dance to her students! Miss. Karissa began her dance training in Ukrainian dance, but expanded her focus to include ballet (both ISTD and Cecchetti), Jazz, Lyrical and Contemporary dance. She has since completed her Standard 6 and Senior Certificate Cecchetti examinations. Karissa joined the ESD Inspire Jr Instructors Program at age 14, and joined the faculty with her completion of the program.Miss Karissa currently attends the University of Calgary where she is working towards completing a double major in Sociology and Education, with a minor in Contemporary Dance. 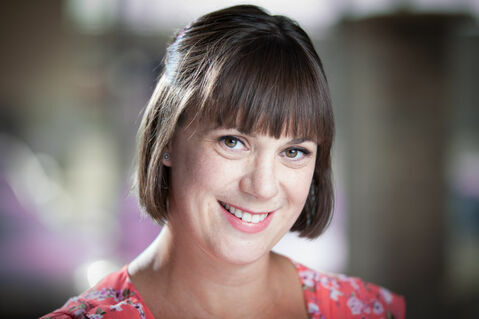 Miss Misha has over ten years of dance teaching experience, five of which have been at Evolutions. choreographer for numerous companies and studios around Calgary over the past eight years, including: Trip the Light Dance Company, W&M Physical Theatre: Surge, Alberta Ballet and En Corps Dance Collective. In the studio, Misha strives to create a learning environment where every student is welcome, challenged, engaged and successful; she roots her dance pedagogy in fostering meaningful relationships with each one of her dancers and recognizing their individual and personal potentials. 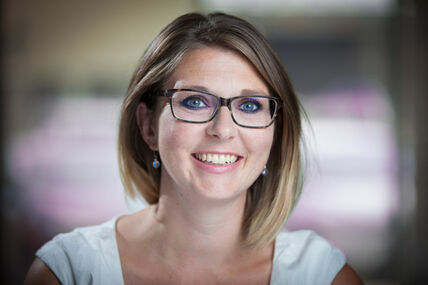 Misha returned to University in the fall of 2018 to pursue her Bachelor of Education, focusing her studies in Elementary Education. She is grateful for the support, guidance and mentorship directors Stephanie and Vanessa have offered her during this pursuit. In addition to teaching dance and pursuing her education degree, Misha is passionate about fitness and conditioning, teaching spin and HIIT around the city of Calgary. Jeannie's dance career brought her to the Intensive Training Program (ITP) in Vancouver where she performed for the Vancouver Spring show, Team Canada Gala for Gold fundraiser, and onstage with Micheal Bernard Fitzgerald for his Way Too Big, Way Too Loud tour. Jeannie is currently training with The Universe Soul Dance Company as a way to continue to grow as both a dancer and instructor. Theres nothing that brings Jeannie more joy than being in the classroom inspiring and supporting students as her past instructors have done for her. She feels very fortunate and happy to be able to have turned her love and passion for dance into a rewarding career. Miss Jeannie is a full licentiate member of the Canadian Dance Teachers Association in both the Tap and Jazz Stage Divisions. She has nine years of competitive and recreational teaching experience throughout the Alberta and Peace Region of BC. Jeannie teaches a broad range of styles including Jazz, Tap, Ballet, Lyrical, Contemporary, Heels, and Hip Hop. In addition to teaching, she's choreographed and performed several Burlesque shows for local organizations such as Big Brothers Big Sisters, and The Canadian Cancer Society. A graduate with a University of Calgary Bachelor Degree in Arts with a specialization in Contemporary and Jazz, Nicole has been fortunate to have had many opportunities in the YYC arts community and abroad. After graduating Nicole worked with W&M Physical Theatre and travelled to Poland performing and teaching around the country; a truly unforgettable and inspiring experience. Nicole also worked with Three Left Feet Movement Creations teaching in Alberta Elementary and Junior High schools sharing her love of dance and creativity. 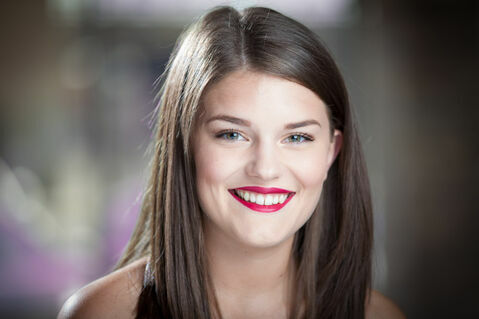 Miss Madison began her dance journey at the age of 3 in Fredericton, New Brunswick. She trained, competed and performed in multiple styles of dance, including ballet, jazz, tap, lyrical, Highland dance and more! She has travelled across Canada, the United States, and Europe to compete and perform. She has her associates teaching certification with SDTA, and is finishing her Acro certification with Acrobatique. Nicole then took a hiatus from the YYC dance community to pursue another passion of hers and received her Bachelor of Nursing Degree at the University of Calgary and is now a Registered Paediatric Nurse at the Alberta Children’s Hospital. Nicole is inspired every day by the children she cares for as a Registered Nurse; they are strong, resilient, free, happy, energetic, positive, forgiving, and trusting – all qualities Nicole strives for on a daily basis. Nicole is a Principal Company Dancer with Trip the Light Dance Company, choreographing and dancing with the company since 2013. Nicole’s passion for teaching and inspiring young dance artists is what brought her to Evolutions School of Dance; a studio that holds all the values and principles that Nicole holds dear to her heart. She completed her Bachelor of Arts degree in Dance with a concentration in choreography and performance from the University of Calgary. Throughout her University career Madison danced and choreographed for several school performances, including Dance Montage, Dance at Noon, Dance @ Night, and Mainstage. She has danced professionally for Trip the Light Dance Company in numerous performances, including the Stampede Cowbelles, Soulocentric, Alberta Culture Days, Dance Film: Regret with Six Two Six Production and many more. In 2017, Madison became the Trip the Light Youth Training Company Coordinator, and choreographed and helped run the show Grey Matter: An Exploration Through Dance. She also danced with the semi-professional company EnCorps Dance Collective for two years. Madison has a passion for dancing, choreography and teaching. She loves sharing her passion of dance with her students, peers, and teachers, and cannot wait to continue to grow as a faculty member at Evolutions School of Dance. Natalka has completed ballet & modern exams in Cecchetti, RAD and ISTD. She received her BA in Contemporary Dance & Ballet at the University of Calgary while simultaneously training in the School of Alberta Ballet’s professional division, and is currently completing her MA in Counseling Psychology. She holds her Associate Diploma teaching qualifications granted by Cecchetti Canada and is currently working towards her Licentiate qualifications. Natalka’s students excel in their Cecchetti ballet examinations and many of them are working towards or are enjoying professional dance careers. Natalka has over 15 years of experience teaching dance. Natalka has over ten years of professional experience as a dancer. She has performed as both a freelance artist and has also been a company member with several dance companies such as Corps Bara, Soulocentric, 49th Parallel Dance Co. & Momentum Dance Collective. Natalka is the Artistic Director and founder of Trip the Light Dance & Performance Company which she formed in 2013. Natalka is well known in the Calgary dance community for her work choreographing and performing for large events, corporate activations and industrials, creative projects and productions. Natalka is passionate about human development, mental health, community building, empowerment, health & wellness, and teaching. Natalka’s education in both the dance and mental health fields enriches her teaching with her keen knowledge of the physical and motor development of her students, human anatomy & physiology, pedagogy, safe dance practices, and the psychological development of children and adolescents. As a teacher Natalka encourages her students to excel to their technical best and to find enjoyment, purpose and fulfillment though their art. 2018-19 will be Natalka’s 12th season with Evolutions! Miss Natalka is a dance artist, educator, and choreographer based out of Calgary, AB. Natalka has an extensive background in ballet and contemporary dance; she has studied in depth the Cecchetti method, RAD, ISTD & Vaganova ballet, as well as modern dance techniques, jazz, lyrical, and more. Having graduated from the Boston Conservatory with a BFA in Dance, Miss Katharina has also trained with the Harbour Dance Centre in their Intensive Training Program certificate program, and trained with the Alberta Ballet School and completed her Advanced Cecchetti exam. In 2007/2008 Miss Katharina performed the role of Clara in The Nutcracker, under the direction of Jean-Grand Maître. Most recently she has performed with Dancers’ Studio West, City Boston Ballet, Lorraine Chapman The Company, Luminarium Dance, amongst others! She currently teaches with Decidedly Jazz Danceworks, and has guest instructed at various studios and schools around Alberta, including The Calgary Waldorf School and The Renert School. Miss Olivia began her dance training in ballet and Ukrainian dance at Evolutions School of Dance. Her love for these styles allowed her to expand her training to include jazz, lyrical, and contemporary. Miss Olivia has completed her Standard 6, Grade 6, and Senior Certificate Cecchetti Examinations. Olivia has been a part of the Inspire Jr. Instructors Program at ESD and is now a member of the Faculty at ESD. 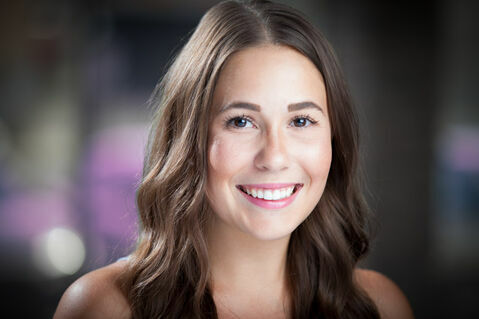 Miss Olivia is a Teacher Training Program student at the School of Alberta Ballet and is currently working towards completing her Intermediate and Advanced 1 exams (Cecchetti) as well as her Associate teaching exam. Olivia is excited to share her passion of dance with all the wonderful students at ESD.